Head to Grand Prairie and check out this rising star. Exceptional barbecue knows no geographic limitations, especially in Texas. Good barbecue puts small towns on the map and draws smoked-meat aficionados from hundreds or even thousands of miles away. Cities such as Taylor, Lexington, Tomball, Brenham, Wollforth, even Lockhart may be unfamiliar to the rest of the world, but to those keeping tabs on the booming world of barbecue, these places have special significance. Fantastic barbecue has the potential to pop up anywhere. Closer to home, great barbecue can be found in every corner of Dallas. A three-hour drive to central Texas is no longer necessary to find an ethereal slice of brisket. And now, the barbecue gods are smiling down upon Grand Prairie in the form of Zavala’s Barbecue. 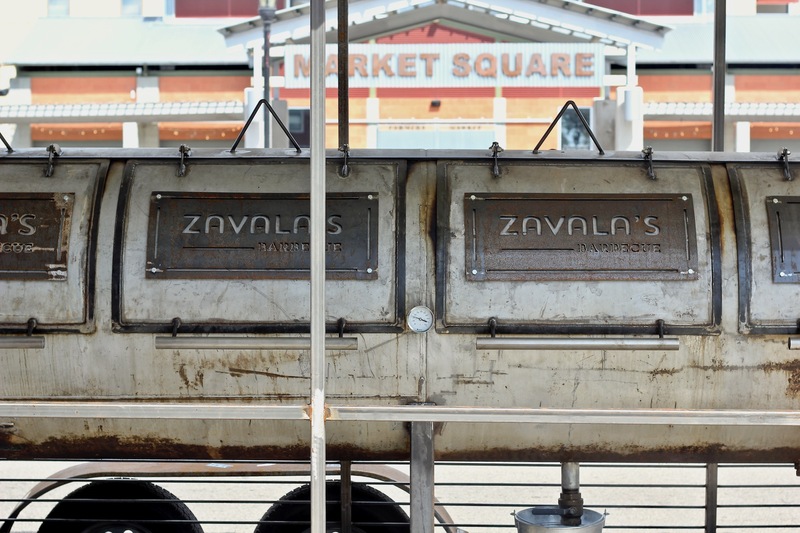 Zavala’s team put on several pop-up spots in Grand Prairie to introduce themselves to the general public. Each one has sold out. In recent weeks, they’ve developed a deal with the owners of a local coffee shop in downtown Grand Prairie, The Brass Bean (123 W Main St. Ste. 112), and will be serving barbecue there every Saturday at lunch. If you’re obsessed with barbecue, as any respectable Texan should be, this is the perfect opportunity to catch one of its rising stars. Primarily, the menu reflects items you’d find on barbecue menus across the state. Brisket shines brightest here, as it should. It’s a brisket that could stand up to just about any other sliced beef in this city. Perfectly-rendered fat, peppery bark, with an appropriate amount of smoke. Ask for some burnt ends, if they’re available. They’re premium nuggets of meat joy. Beef ribs make an appearance here, too, and they come out thick, unctuous, and dripping in meat juice. They’re even smoking beef cheeks, an item you don’t often see at other establishments. It’s a denser, richer cut, with a flavor that clearly distinguishes itself from the more commonly-known brisket. Sausages are handmade, as they should be. You’ll find them with red pepper flakes or with jalapeño and cheese. Pork ribs and turkey are at the party, as well. Be sure to grab a few fresh tortillas and house-made salsa. Stuff a slice of brisket inside said tortilla, top with salsa and barbecue sauce. You will not regret it, this much I can promise you. It’s safe to say that this state’s infatuation with smoked meat is not diminishing any time in the near future. Every year, a new class of pit-masters make their way onto the culinary stage and stake their claim for barbecue greatness. It’s reassuring that a good number of these folks are emerging from DFW, and Zavala’s is undoubtedly one to keep an eye on.